"Collision" competition: Given the boxoffice success that 3D animated family films are enjoying these days, ticket sales for "Ice Age: Collision Course" could suffer from ongoing business for two big animated hits already in the marketplace. Although "Collision" is the newest arrival targeted to families, it doesn't help for it to have to compete with "The Secret Life of Pets" or "Finding Dory,"
"Collision," 20th Century Fox and Blue Sky Studios' PG rated 3D animated comedy adventure, opens July 22 at about 3,800 theatres. It's from first time feature director Galen T. Chu, who had "additional story" screenwriting credit on the series' original "Ice Age" (2002), and Mike Thurmeier, who co-directed "Ice Age: Continental Drift" (2012) and "Ice Age: Dawn of the Dinosaurs" (2009). Starring are such returning voices as: Ray Romano, Denis Leary, John Leguizamo, Queen Latifah and Jennifer Lopez. In the new episode, Scrat's (Chris Wedge) epic pursuit of the elusive acorn accidentally sets off a series of cosmic events that transform and threaten the Ice Age World. To save themselves, Sid (Leguizamo), Manny (Romano), Diego (Leary) and the rest of the herd must leave home, encountering colorful new characters as they travel to exotic new lands. The previous episode, "Continental," opened July 13, 2012 to $46.6 million and did $161.3 million domestically. The episode before that, "Dawn," opened July 1, 2009 to $41.7 million and did $196.6 million domestically. "Ice Age: The Meltdown" opened Mar. 31, 2006 to $68 million and did $195.3 million domestically. The original "Ice Age" opened Mar. 15, 2002 to $46.3 million and did $176.4 million domestically. "Collision" is entering the marketplace at a time when 3D animated titles are resonating in a big way with family audiences. Last weekend, for instance, saw Universal Pictures and Illumination Entertainment's PG rated 3D animated family comedy "The Secret Life of Pets" hold on to first place in its second weekend with $50.8 million, bringing its cume to $203.4 million. Its $104.4 million launch July 8 went into the record books as the sixth largest animated opening ever, according to boxoffice tracker comScore. Directed by Chris Renaud ("Despicable Me," "Despicable Me 2") and co-directed by first-time feature director Yarrow Cheney, it's voice talents include Louis C.K., Eric Stonestreet and Kevin Hart. $135.1 million. Last weekend, its fifth in theatres, it placed fourth with $11.3 million, bringing its domestic cume to $445.7 million. With "Dory's" international cume of $276.2 million, its global cume is $721.9 million. "Dory" now stands, Disney said last Sunday, "as the highest grossing animated release of all-time domestically, with an estimated cume of $445.5 million, passing 'Shrek 2's' long-held record of $441.2 million. "This result has helped push the 2016 cume to date for The Walt Disney Studios past $2 billion for domestic, making it the fastest time this has been achieved in industry history and following on from last weekend's news of crossing $3 billion internationally and $5 billion globally." "Dory's" from "Finding Nemo" director Andrew Stanton and first time feature director Angus MacLane. Its voice talents include: Ellen DeGeneres (as Dory), Hayden Rolence (Nemo), Albert Brooks (Marlin) and Diane Keaton and Eugene Levy (Dory's parents). Another Disney PG rated 3D animated family film that kept the multiplexes busy earlier this year is "Zootopia." After opening Mar. 4 to $75.1 million, it went on to do $341.1 million domestically. "Zootopia" is from directors Byron Howard ("Tangled") & Rich Moore ("Wreck-It Ralph"). Two recent non-Disney 3D animated hits also did nicely with family audiences. DreamWorks Animation and 20th Century Fox's PG rated 3D animated action adventure "Kung Fu Panda 3" opened Jan. 29 to $42.3 million and did $143.5 million. It's from first time feature director Alessandro Carloni and Jennifer Yuh Nelson ("Kung Fu Panda 2"). Columbia Pictures and Rovio Entertainment's PG rated 3D animated action comedy "The Angry Birds Movie" opened May 20 to $38.2 million and has done $106.1 million. It's from first time feature directors Clay Kaytis and Fergal Reilly. "Pets" and "Zootopia" were originals while "Dory" and "Panda" were franchise episodes. "Birds" originated as a very popular videogame for smartphones. "Collision" marks the first time in the franchise that the character Scrat drives the story, instead of just providing comic relief to the main storyline about the herd. That could enhance the new episode's appeal to fans of the series. The film positions Scrat at key moments in the history of the natural world – including, ushering in the Ice Age, starting the Meltdown, unleashing the Lost World of the Dinosaurs into the Ice Age and prompting the separation of the continents. In "Collision," he triggers a series of cosmic disasters that threaten the Ice Age world. "In this film, Scrat is pretty much responsible for the expansion of the universe as we know it," explains producer Lori Forte. "It's his version of the Big Bang." "I see so much potential with what you can do with Scrat," observes director Michael Thurmeier. "He's become a true classic animated character. Scrat never stops persevering, no matter what happens to him." Besides creating a new path for Scrat, the filmmakers also present him with fresh obstacles to overcome. 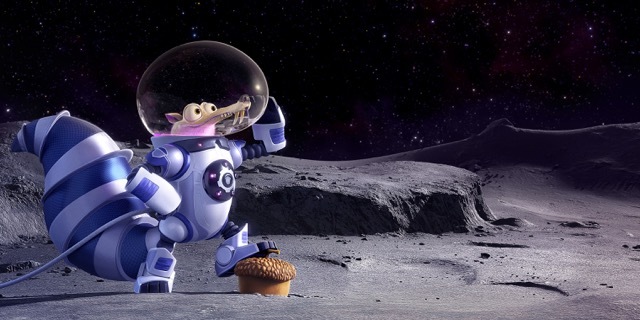 This time around, Scrat must confront gravitational forces, otherworldly technology and the infinite mysteries of the cosmos. When he starts playing pinball with the planets, he creates what the filmmakers call the ultimate "Scrat-aclysm," sending "the mother of all asteroids" hurtling toward Earth. Once again, Scrat's misadventures result in life-and-world-changing consequences for the film's sub-zero heroes on the ground. Bottom line: "Ice Age" isn't the only franchise returning with high hopes to the multiplexes this weekend. 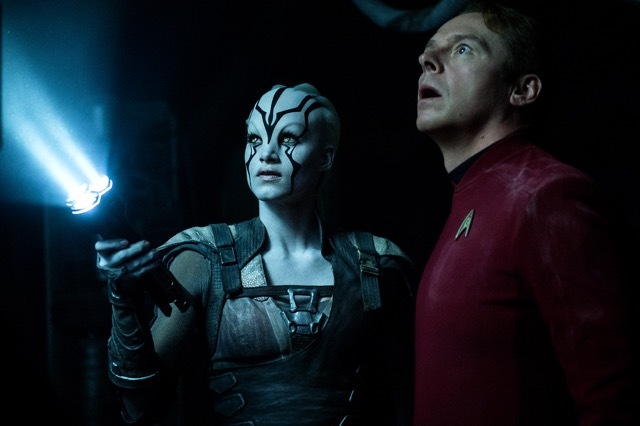 Paramount, Skydance and Bad Robot's PG-13 rated 3D sci-fi action adventure "Star Trek: Beyond" will arrive at about 3,500 theatres and is expected to land in first place. It's from producer J.J. Abrams, producer-director of "Star Wars: The Force Awakens," and is directed by "Fast & Furious" director Justin Lin. Starring are: Idris Elba, Chris Pine and Zoe Saldana. On the first leg of its five year mission, the Enterprise is nearly destroyed in uncharted territory. Kirk and his crew are stranded on a remote planet with no way to communicate, forcing them to work with the elements to somehow return to Earth. "Beyond" is the 13th episode in the franchise that began in 1979. Here's a very quick look back at how it all got started. The movie franchise was inspired by the television series "Star Trek," created by Gene Roddenberry, that premiered Sept. 8, 1966 and ran for three seasons (79 episodes) on NBC. 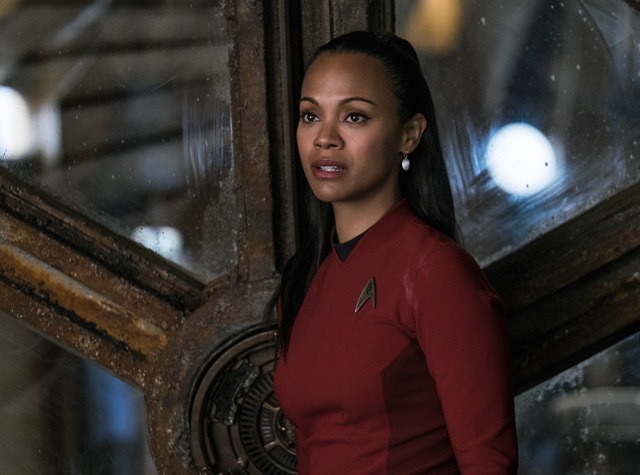 NBC was going to cancel the series after its second season because of falling ratings, but a letter writing campaign by fans, the original Trekkies, managed to keep it on the air. When NBC moved "Trek" to a tough Friday night time slot and slashed its production budgets, Roddenberry responded by quitting as producer. The series' last original episode aired June 3, 1969. Reruns began airing in the fall of 1969 and continued into the late '70s, greatly expanding the show's Trekkie fan base. "Trek's" rebirth had its first roots in a heavily attended January 1972 convention of the series' fans in New York. By May 1975, Roddenberry and Paramount, which had bought the series from Desilu, were developing a new series to be called "Star Trek: Phase II." Growing fan enthusiasm, however, resulted in the pilot for that project being turned into a theatrical feature film – "Star Trek: The Motion Picture," directed by Robert Wise ("The Day the Earth Stood Still") and starring William Shatner and Leonard Nimoy. It opened Dec. 7, 1979 to $11.9 million and did $82.3 million domestically, which was good business at the time. The franchise's 12 episodes to date have grossed $1.2 billion domestically. The last episode, "Star Trek Into Darkness," opened May 16, 2013 to $70.2 million and did $228.8 million domestically. Strong showings this weekend by "Beyond" and "Collision" would help improve boxoffice comparisons with last year. Ticket sales for the year to date, per comScore, are up only a modest 2.3 percent – $6.39 billion versus $6.25 billion this time last year. Last weekend's comScore total of about $162 million for all films in the marketplace (including a $46 million second place launch for Columbia and Village Roadshow Pictures' reboot of "Ghostbusters") was down 16.4 percent from last year's comparable weekend total of $193.7 million (including Disney and Marvel's $57.2 million "Ant-Man" opening).